An American movie actress, best known for playing dumb blondes, is Scotland Yard's prime suspect when her husband, Lord Edgware, is murdered. The great detective, Hercule Poirot, digs deeper into the case. If Your Life Was a Movie, What Genre Would It Be? 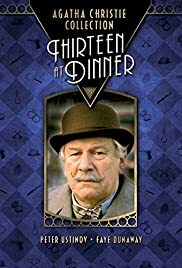 Hercule Poirot (Sir Peter Ustinov) attends a dinner party in which one of the guests clutches his throat and suddenly dies. The cause seems to be natural until another party with most of the same guests produces another corpse. During a murder hunt game at a country house, to which Hercule Poirot (Sir Peter Ustinov) is invited as an "expert", a real murder occurs. When a former prison wardress who dominates the lives of her three adult stepchildren and her daughter is found dead at an archaeological dig near the Dead Sea, there are a great many suspects. Trying to find how a millionaire wound up with a phony diamond brings Hercule Poirot (Sir Peter Ustinov) to an exclusive island resort frequented by the rich and famous. When a murder is committed, everyone has an alibi. As Hercule Poirot (Sir Peter Ustinov) enjoys a luxurious cruise down the Nile, a newlywed heiress is found murdered on board. Can Poirot identify the killer before the ship reaches the end of its journey? When Carrie Louise Serrocold (Bette Davis) suspects that someone is trying to poison her, she sends for the one person who might be able to help, her old friend Miss Jane Marple (Helen Hayes). Rosemary Barton, the beautiful wife of a top attorney, dies during their anniversary party at an exclusive restaurant. Later a suicide note is found along with traces of cyanide in her drink, but murder cannot be ruled out. While Miss Marple is on vacation in a luxurious Caribbean resort, a fellow guest confides he has evidence that another resident of the hotel is an unscrupulous serial murderer but is poisoned before he can reveal his identity to her. Miss Marple comes to solve the mystery when a local woman is poisoned and a visiting movie star seems to have been the intended victim. An American woman is getting involved in a diamond theft in South Africa. An American computer expert meets a distraught old lady on a train and she tells him that a homicidal maniac is stalking her quiet little village. While golfing on the Welsh coast, Bobby Jones apparently hits a stranger who falls off the the sea cliff. His enigmatic last words are "Why didn't they ask Evans?" Hercule Poirot: Do I spend much time in Belgium? No, because there is so little crime. You know that I'm very patriotic. I believe in Belgium very profoundly, but crime is practically nonexistent. For a TV movie this is surprisingly well done. Many twists and turns in the plot. 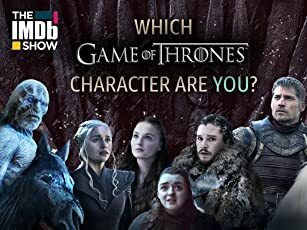 Good characterizations by all the players. I disagree with the negative comments here. The movie held my attention throughout and was a delight to watch. Faye Dunaway's portrayal of the dual roles was over the top but that was the nature of the two women she played. The actress Jane Wilkinson is clearly based on some of the mannerisms of Marilyn Monroe and Faye does this convincingly. I didn't initially think Peter Ustinov would make a good Poirot, but he captures the detective's droll and determined persona and is quite convincing. I wish they would make more movies like this. Though Peter and Faye are clearly the lead actors in it, there's an ensemble cast that works together to lead us on a merry chase of suspects. The locations are magnificent. All in all this is definitely worth watching even if it lacks the big budget of the ones Ustinov made for theatrical release.